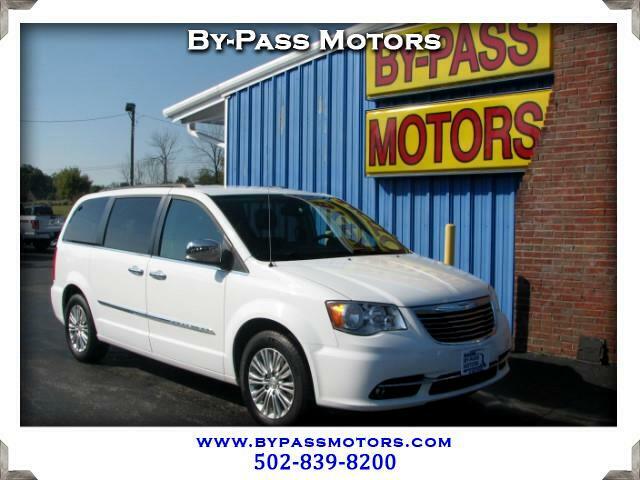 Used 2015 Chrysler Town & Country Touring-L for Sale in Lawrenceburg KY 40342 By-Pass Motors, Inc. CHECK OUT THIS TOWN & COUNTRY VAN. IT IS LOADED UP WITH HEATED LEATHER SEATS, POWER SLIDING DOORS AND A REAR ENTERTAINMENT SYSTEM. THIS VAN GIVES EVERYBODY PLENTY OF ROOM AND IS PERFECT FOR ANY SIZE FAMILY. BY-PASS MOTORS, INC. HAS BEEN SERVING CENTRAL KENTUCKY AND BEYOND SINCE 1989. WE ARE CONVENIENTLY LOCATED OFF OF THE BLUEGRASS PARKWAY IN LAWRENCEBURG. GIVE US A CALL TODAY AT 502-839-8200.